Overcrowded emergency rooms are an alarming problem that hospitals, medical personnel, and patients have to deal with. Although most patients who visit emergency rooms are treated appropriately, there are instances when the waiting time is too long before treatment is started. The medical condition of the patient may deteriorate inside the emergency room for the lack of timely treatment or because of some other kind of medical malpractice. Understaffing or a shortage of rooms can cause overcrowding inside an emergency room. These situations occur when there is an unexpected increase in the number of patients in the emergency room. It can be attributed to a large number of uninsured patients needing minor medical treatment or the deterioration in the condition of uninsured patients due to the lack of preventative medical treatment. A lack of resources or equipment necessary in dealing with particular medical conditions can also result in overcrowding inside an emergency room. Severely injured patients are given priority whenever the emergency room is overcrowded, which forces medical personnel to move quickly from one patient to another. In such a situation, the medical personnel may fail to diagnose a patient’s condition correctly. There are also some instances when patients with severe medical conditions are not treated at all. In worse case scenarios, a patient may even die due to the lack of medical treatment, resulting in medical malpractice lawsuits. A long waiting time is a typical issue associated with overcrowding inside an emergency room. Although many patients may suffer only minor discomfort or an elevated blood pressure due to the long waiting time, the medical conditions of other patients may deteriorate and take a turn for the worse. The waiting time inside an emergency room may be further prolonged due to a lack of available rooms for patients. Apart from this, the patient may also have to wait again before a nurse can check on them, or a doctor can provide the necessary medical treatment. Medical negligence is likely to happen when medical personnel have to rush from one patient to another. This situation may lead to a number of medical errors, including the failure to give proper diagnosis on the condition of the patient, incorrect medication, misinterpreting laboratory results, or misdiagnosis. Anaesthesia or surgical errors may also result from emergency surgical procedures. The complexity of medical issues makes it difficult to prove connection between the cause of injury and medical negligence on the part of the medical personnel or hospital. Only an experienced and highly competent St. Louis medical malpractice lawyer can help prove the case and get the compensation that the victim deserves. 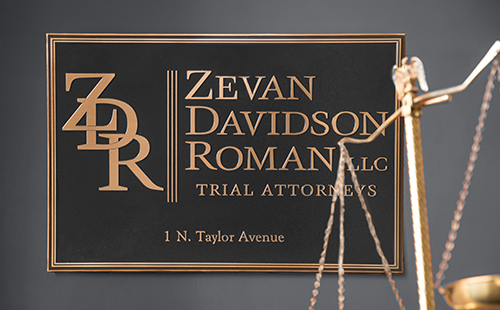 Call Zevan and Davidson Law Firm at (314) 588-7200 for a free consultation.